It is with great excitement that I invite you to our next Women of Virtue Fellowship, Tuesday, October 21, 2014. We have an inspiring guest speaker, Sis. Rochella Marable (See Attached Flyer) who will speak on the topic, “How to Be Godly Women” from Proverbs 31. In September, Sisters Sandra Hill, Phyllis Dickerson and Ramona Heath blessed us from the topic of Reconciliation and Forgiveness. At least 68 women were present to bless the Lord. Ladies – let’s exceed that number Tuesday and show lots of MOBC love to our sister from Antioch. Sister Rochella Marable is very passionate about sharing God’s Word. 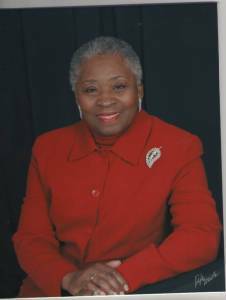 She retired from the Federal Government after 23 years and became God’s full-time servant. Currently she serves as Director of the Women’s Ministry for Antioch. Please mark your calendar for this Tuesday, October 21st to fellowship with your sisters in Christ on Telegraph Rd (7 to 9 pm). As we strive to share Christ with others, please forward the flyer and invite someone. Ask the Lord to place someone in your path who needs to hear about Christ. Let us not miss the opportunity to be a blessing to others. As always, if your steps have been ordered in another direction, please pray for our Women’s Ministry. Pray that the Holy Spirt will indwell our physical bodies so much that HIS presence is felt all over the church building. God is able to do exceeding abundantly above all that we ask or think, according to the power that worketh in us (Ephesians 3:20). God bless and I look forward to our time together on Tuesday. Remember to share the flyer….